Shadow of the Tomb Raider garnered mostly positive reviews in the weeks following its September release, but the game’s Steam listing currently doesn’t reflect such views. The title’s Steam review aggregate now stands at “Mixed” following a review bombing campaign from fans in response to the game receiving a temporary price cut. Having Shadow of the Tomb Raider review bombed on Steam is how people are expressing their displeasure with the recent sale. The bombardment began after Shadow of the Tomb Raider went on sale, a regular occurrence on Steam, on October 16 for 33 percent less than the game’s $59.99 price at release. The decision spawned nearly 700 negative reviews, the majority of which said little to nothing about the game itself. The clear motivation for the abundance of negative reviews is frustration from players that bought the game for full price. The common outlook from those frustrated is that publisher Square Enix’s decision negatively affects those that supported the game at release financially. “34% off one month after release? Customers with preorder get ♥♥♥♥ed right now,” read one review. 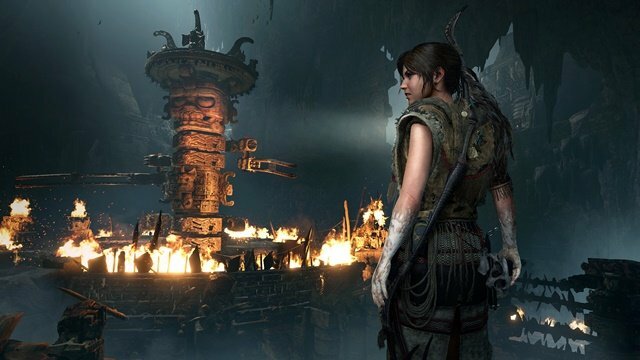 Many fans stated that they wouldn’t have bought the latest installment in the Tomb Raider franchise had they known it would go on sale one month after its release. “Not a bad game … but [I] was an early adopter and the game dropped down by near half price so quickly, Aren’t [I] a total mug pre ordering this. Never again Square Enix,” read another review. While the general frustration with the situation is understandable, Square Enix, like any publisher, isn’t beholden to its audience when it comes to financial decisions. Especially considering that Shadow of the Tomb Raider generated underwhelming sales figures compared to earlier titles in the franchise’s reboot trilogy. Fans are clearly upset with Square Enix’s attempt to boost sales of the title through a Steam sale, but utilizing Steam’s review aggregate to express such frustrations has rarely worked to accomplish feats of criticism.